This past weekend marked the 30th anniversary of the killings of the New Lodge Six - six north Belfast men who were shot dead by the British Army in 1973. Immediately following their deaths, the British Ministry of Defence issued a statement saying the army had killed six "gunmen" during a gun battle, but the families of the dead and the New Lodge community knew different. They knew that the British Army had opened fire without provocation on unarmed men. They knew that many who were killed that night were in the process of trying to save the wounded and dying who already lay in the street. They knew that what had happened that night in 1973 was a massacre, plain and simple, and that the British version of events was a lie. Thirty years on, those same families and their community are united in their determination to bring the truth to light and clear the names of the dead. There were several events to commemorate the loss of the six men this past week, culminating in the launch of the report detailing the final determinations of last November's community inquiry. The panel of five internationally respected jurists officially and unanimously vindicated all six men. At the launch of the report on Monday, Belfast solicitor Eamonn McMenamin, one of the jurists, read a statement on behalf of the panel. "The UK Government is responsible for the unlawful killing of each of the six deceased by members of the British Army. Accordingly, the state is in breach of its right to life obligations under article two of the European Convention of Human Rights," read McMenamin. 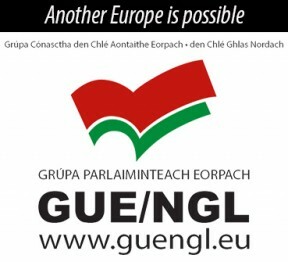 "It (the inquiry) has exposed the truth, and in this current political climate of commitment to open government, challenged the state to fulfil its obligations under article two of the European convention for human rights and provide justice through an effective and transparent investigation of these six deaths." Also at Monday's launch, Paul O'Neill of The New Lodge Six Committee echoed the jurists' sentiments. In a statement, O'Neill said: "The release of the community inquiry report, on this, the 30th anniversary of British state killings of six unarmed men on the New Lodge Road, is a damning indictment of British policy in Ireland. "This report also puts the British government in the dock over this atrocity. The fact that six unarmed innocent men were murdered as part of what now seems to have been a coordinated killing spree on the New Lodge community, firmly places the onus now on the British government to provide answers to the families of the deceased. "With no effective investigations or prosecutions over the deaths of Jim McCann, Jim Sloan, Tony Campbell, Brendan Maguire, John Loughran and Ambrose Hardy, many questions remain to be answered. The subsequent failure of the British state agencies to release all documentation to the community inquiry also raises further doubts around the British version of events on the night of 3 and 4 of February 1973, when they stated that they had killed six gunmen in a gun battle." After the launch of the report, several families of the dead expressed their desire to see the campaign go forward. Brendan Maguire's brother John Joe told An Phoblacht, "I would like the six men officially cleared by the British government and the RUC. I would like to see their names cleared once and for all because they were innocent and there's no way of saying otherwise." Brendan was shot as he tried to reach the body of the wounded Tony (TC) Campbell. Ambrose Hardy was shot dead as he emerged from the Circle Club, waving a white petticoat over his head. On Monday, his sister Rosaleen said she was very pleased with the panel's findings. "I'm glad something is being done about it," she said, "Everyone's working so hard to see the truth come out. "I don't know if we're ever going to get it or not, but I would like them (the state) to apologise and say that these men were all innocent. We know they are innocent, but I'd like it to come out and be known." Perhaps the most poignant remark about that night on the New Lodge 30 years ago came from John Loughran's brother Willie. "It was taken as read when nationalist people, Catholic people, were murdered. It was taken as read. We didn't count." The "Time For the Truth" campaign is now looking to pursue their case through the courts. Copies of the New Lodge Six inquiry findings can be obtained for the fee of £5 from the New Lodge Six Committee. They are also accepting further donations for the continuation of the campaign. On Saturday, 1 February, a human rights march on the New Lodge Road in honour of the New Lodge Six was attended by people from all over Belfast and ended with the unveiling of a mural dedicated to the memory of the six men. "Thirty years on the British still haven't apologised for what happened," said "Time for Truth" committee chairman Paul O'Neill at the unveiling, "They still haven't tried to investigate it, in fact they don't appear to be interested in investigating it." "Indeed, a few weeks ago, a member of our committee confronted NIO minister Des Brown about the issue of the New Lodge Six and he said that he felt these kinds of campaigns were really fronts for republicans. He also said that, in any event, public inquiries were far too expensive and they had better things to do with their money." "The Time for Truth committee represents the interests of the six families who were bereaved. It seems that people who are killed by the State don't count. They are not worthy of the same respect and acknowledgement as others." Willie Loughran, whose brother John was killed, read a statement on behalf of the families. "We don't expect justice from Britain," he told the assembled crowd, "What we do expect, is that they admit their responsibility in the murder of six men on the New Lodge, and the countless other state murders that they actively perpetrated against our people. "If we are to move forward there is a huge responsibility on the British to admit and acknowledge the injustices of the past." All the families expressed delight with the new mural, painted by artist Danny Devenney. One woman said she now felt as if her loved one was watching over her. The family of Brendan Maguire thought the work was "brilliant." "Its very lifelike", said his brother John Joe. "If you knew our Brendan... even the features." "His whole spirit seems to be there," added John Joe's wife. "It's beautiful, absolutely fantastic." "I think the mural is really beautiful," said the sister of Ambrose Hardy, "Honestly, I thought I could just reach up and touch my brother." Like many families over the course of the last thirty years, the Hardy family has suffered deeply. In 1963, the family was driven from their home on Hillman Street by a mob of loyalists. Then in 1972, another brother, Geordie, was standing outside the Diamond Bar with the brother of Jim Sloan. A car containing loyalists opened fire with a machine gun as it passed them. Both were seriously wounded but survived. Ambrose died the night of 3 February alongside the five other men on the New Lodge Road, and then tragedy struck again in 1976 when a cousin, her husband and young baby were petrol bombed by loyalists, killing all three in their home. In 1979, the UVF murdered another brother, John, gunning him down in his home before the terrified eyes of his daughter. The unionist death squad had intended to target the house next door, but when they found no one at home, they knocked on John's door instead. Ambrose's mother Violet passed away in November at the age of 95. She never lived to see the inquiry that publicly vindicated her son.